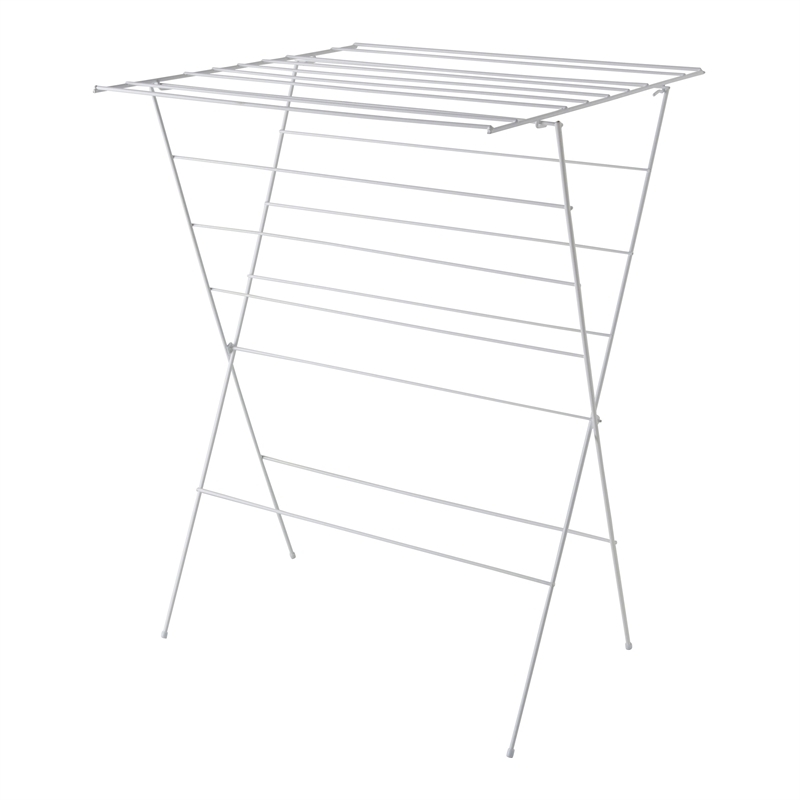 Dry your laundry regardless of the weather all year round using Morgan's wire clothes airer range. 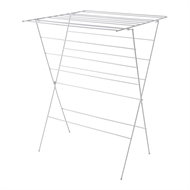 Equipped with 20 rails, this airer is constructed from sturdy white coated wire ideal for supporting all kinds of laundry and protective rubber feet, to be used on tiles, floorboards and carpet without the risk of marking or damaging your floor surfaces. 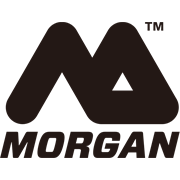 Don't let wet and windy days stop you from getting your laundry done, as Morgan's clothes airers are a great alternative to any outdoor clothesline, folding flat for easy storage when not needed.